Moving to a retirement village is a big decision, but for animal-lovers whether or not they can bring their pets with them is often the overriding factor, however attractive the move might be otherwise. Nearly ten years ago Graham and Sheila Sheriff (pictured), now in their late eighties, moved to Elmbridge Village after Graham developed throat cancer and needed an operation. You can read more about how much they enjoy village life in our case study here. The Sheriffs had adopted a beautiful West Highland Terrier called Jamie; so finding a retirement village that allowed pets was essential. In fact, having a pet such as a dog or cat can be extremely beneficial to people enjoying retirement in later life. The UK’s Pet Health Council, an independent body made up of ten dedicated associate organisations from around the world, says that pets are great company, do not judge a person regardless of what happens and love their owners unconditionally. This raises their self-esteem and helps to overcome issues such as loneliness, anxiety or depression. This is especially true with dogs, which are often affectionate and form close bonds with their masters. People can stroke their pets to relieve stress levels and reduce blood pressure says pet insurer Animal Friends. This speeds up recovery after an illness and lessens the risk of suffering a heart attack. Owners can play with pets to relax, and walk them to stay physically fit and mentally agile. Some pets offer a certain level of protection. Potential thieves will stay away if a dog is barking on the other side of the door. It may only weigh twelve pounds, but the thieves won’t know that! Even if the neighbourhood is secure, this will still give owners great peace of mind, especially those who live by themselves. Charity AgeUK say pets can also help people make new friends and stay connected socially, which is very important for those who live on their own. Owners can enjoy a variety of shared activities such as communal dog walks, charitable events and competitions. It can be hard to meet new people but pets make a great icebreaker. That’s why more and more retirement schemes are becoming pet friendly. Here at Retirement Villages, we recognise the often-pivotal role pets play in some of our residents’ lives and actively welcome them into all of our 14 retirement communities. Lime Tree Village in Warwickshire is no exception. 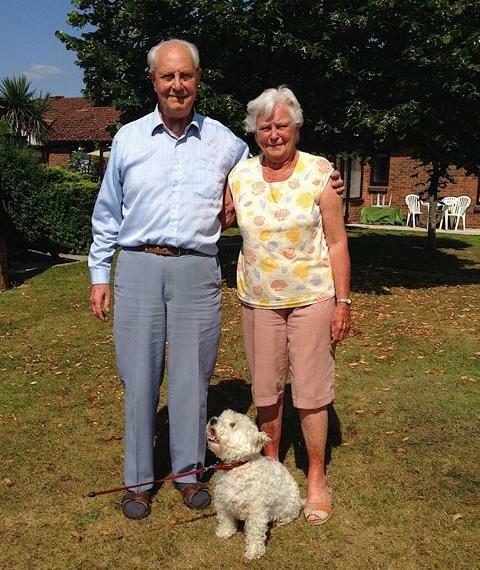 Two of its longstanding residents, John and Ann Turner, own a poodle called Sorrel. Their beloved Sorrel is nine and a half and has lived with the Turners since she was just a seven-month-old puppy. But remember that dogs are not welcome everywhere, or at least not unless you comply with the law. Celebrity Johnny Depp and his wife Amber Heard got into hot water this week after they were found to have illegally brought their two Yorkshire terriers into Australia. They were forced to make a grovelling apology online this week, so be careful if you are taking pets abroad and check if there are any legal hoops to jump through. Do you have a pet that enriches your life? We’d love to hear about them in the comments below!